The next Canadian Marine Advisory Committee (CMAC) meeting is a little more than a month away – to be held in Ottawa, on November 6th through the 8th. Transport Canada, which regulates pretty much everything we do in Canadian shipping, and especially us seafarers, uses this medium to discuss changes in their policies and regulations. They have proposed a long list of amendments to the Marine Personnel Regulations, those are the regulations that oversee the Training and Certification of Canadian seafarer. 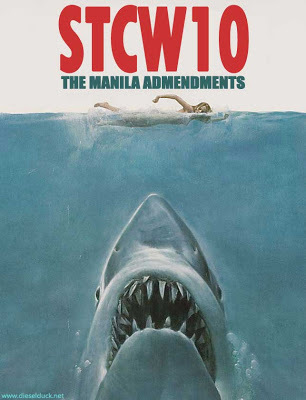 The amendments are there to address the recent changes to the Standards of Training Watchkeeping and Certification (STCW) of seafarer, as adopted by the IMO convention, held in Manila, June 2010. These are major changes to the STCW convention, and they are known as the Manila Convention or STCW10. Transport Canada is obligated to introduce these agreed international changes into its regulatory framework. Many of the changes directly impact seafarers, right now, such as hours of rest / work; and these regulations are already in force, beginning 2012. There is further regulations which will impact Marine Engineer in particular, you can read about the proposed changes to the Canadian engineering certification system here. The biggest one for currently certificated engineers is the Safety Training, previously known as Marine Emergency Duties (MED) now has a validity limit. Meaning that the training, if not up to current standards will have to taken again. Refresher courses will have to be introduced at the maritime schools, to be taken every five years, and there is also some additional training introduced. 1960’s Reed’s books. Third class will be required to do Simulator level 2 as well, typically this wasn’t required until Second Class. As I see it current Cadets should be relatively ok. Senior ranks – Second or First Class CoC holder will be hit with refresher courses, and additional requirements for maintaining their Certificate. The real problem will be for the “keeners” who have experience onboard, typically older, and are trying to work their way up in the field, upgrading to a Fourth Class or Thirds. These people, I think are really screwed, as there is no practical way they can move up now. Of course, this group of ship’s engineering staff have very few people talking on their behalf. The senior ranks, well, they have adjustments to make but overall not too bad, the unions may speak on their behalf. No matter how you slice it, these are extra burdens to achieve certification in an already challenging process. TC reached out to the CIMarE, this is where I first heard of it, yesterday, even though these changes were proposed last CMAC in April. I run probably the largest web community of those affected; TC, email is relatively free – wouldn’t hurt to let us engineers know. Ultimately, CIMarE is a volunteer organization, so their input is great, but at the mercy of many pressing issues affecting its membership, like putting food on the table. Unions, well, if history is any indication, I think will be absent from any meaningful input on this subject. Sorry young guys and gals wanting to be ship’s engineers, your on your own. The first time STCW was introduced, back in the late 1990’s, I think it safe to say it was chaotic. In the US, it was downright scary. I don’t think it will be as bad now that we are use to the STCW concept, but I predict a major slowdown in the Certificate queu at your local TC Marine Safety office, already running at high output and quality assurance levels – sorry a bit of sarcasm there. If you are in Ottawa in November, you are invited to attend. You can see all the proposed changes here, here are the really interesting ones, the changes to the Engineering certificates. CMAC’s website is here, you can visit the CIMarE’s website here, and discuss this topic on The Common Rail. Deckies, don’t worry, you were not forgotten, you’ll definitely want to look up how these changes apply to you. Hi, probably our entry may be off topic but anyways, I have been surfing around your blog and it looks very professional. It’s obvious you know your topic and you appear fervent about it. I’m developing a fresh blog plus I’m struggling to make it look good, as well as offer the best quality content. I have learned much at your web site and also I anticipate alot more articles and will be coming back soon. Thanks you. I work off shore for a drilling company as a chief electrician for 20 years,my company wants me to get my Electro-technical officer CoC .I cannot find any information or get any help from transport Canada on this matter. Hello Calvin, thanks for your comment. I understand Transport Canada very soon will have / now has new designation as ETO, but this hasn’t been well articulated by them; I have not seen any official notice that a TC ETO certificate is available. Nobody seems to have a clue as to whats going on at TCMS in general. They are having a real tough time just issuing Seafarer Medical on time; and now with new STCW2010 regs, they really seem completely overwhelmed in just issuing regular license renewals. I am not sure where the malfunction is, they don’t communicate with anyone, and anybody I ask is befuddle as to why there seems to be a complete collapse of endorsement / certificate issuance. TCMS has stated that basically, if you have a Canadian license working in Canada, don’t worry about expiry dates. Meanwhile anyone sailing internationally or trying to upgrade like you, are in for a very weird time from TC. What’s the latest on changes to Engineer exams, particularly first class motor? As far as I know, there are no changes to the Exams for Marine Engineering in Canada; that is as far as I know. TCMS is notorious for not sharing any information, but the new STCW10 doesn’t really hold big surprises at that level, so I don’t expect anything different. Thank you for your visit and comment to Martin’s Marine Engineering Page, http://www.dieselduck.net. In regards to your question, there are many hurdles in getting a Certificate of Competency (CoC), the primary one is your nationality. Usually the nationality (passport) you hold, is also the nation whose CoC you will be issued from, no matter where you go to school. Furthermore, the marine certification authority in that country, will only recognize courses that are approved by them. All this means that if you want to achieve or upgrade a CoC, you will need to go your marine certification authority’s approved school for the necessary courses. Otherwise, you will waste your time and money. At the same time, even if you go to a Canadian school to do the courses required, you cannot get a Canadian CoC unless you have resident status, and have completed all the licensing steps in Canada, or at least they need to be approved by Transport Canada Marine Safety and Security, the marine certification authority in Canada. If this is not an issue for your group, I can refer you to Buki Hough at Western Maritime in Nanaimo, BC, near Vancouver. I don’t offer any training, I am merely a Marine Engineer with a hobby website; however, Buki represents an experienced training facility and you may contact her at buki.hough@maritimeed.com. You can view their website at http://www.maritimeed.com. In regards to your question, there are many hurdles in getting a Marine Engineering Certificate of Compentency (CoC), the primary one is your nationality. Usually the nationality (passport) you hold, is also the nation whose CoC you will be issued from, no matter where you go to school. Furthermore, the marine certification authority in that country, will only recognize courses that are approved by them. 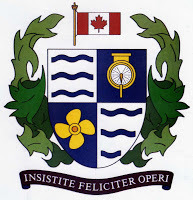 At the same time, even if you go to a Canadian school to do the coures required, you cannot get a Canadian CoC unless you have resident status, and have completed all the licensing steps in Canada, or at least they need to be approved by Transport Canada Marine Safety and Security, the marine certification authority in Canada. Probably not what you wanted to hear, but its better hear now than later. Hello guys, I am moving to Canada soon as a permanent resident. I currently hold an Indian second mate license, will they give me any exemptions in the exams and my stcw 2010 courses? Probably not. Transport Canada is the authority in Canada, suggest you contact them if you have not already done so. TC has removed certain sections such as the provisions for attaining ETO CoC from SSB 05/2017.